Really, we don’t sit around just listening to music. We use it as a way to hear the sounds of the language in a very memorable way. Well, I must say one of the prettiest songs we’ve ever heard is Gino Paoli’s “Senza Fine”. The title has the loose translation of “without end or endless” (hello Italian friends, pipe in any time). The song is on a CD by Paoli we picked up a few weeks ago called Canzione da Ricordare. The version we bought is only 1 CD, an extract of the 3 CD box set. At least the version of “La Gatta” is different from the original, so if you are looking for the originals you might try this CD. There was a glitch in the Duomo’s ticketing system this morning so our climb to the cupola was postponed a bit. To kill some time we headed over to the Museo Davanzati (Via di Porta Rossa 13 – near Piazza della Repubblica) for a quick visit – it’s free. It is known as the museum of the traditional Florentine house. When you enter on the ground floor, go up a set of stairs and the museum is the first floor. It takes about 30 minutes for a quick look-see. In December they are going to open the second floor as well. From the outside the building when you look up, you notice the top floor loggia. Many of the loggias these days have been filled in to create more living space (apartments) – what a shame because it is a neat concept. 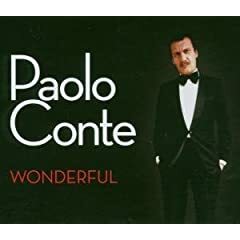 I’m not super crazy about this Paolo Conte album called “Wonderful” – not sure why. Maybe I need to listen a little bit more. The one song I really like though is “Onda Su Onda” (wave after wave). Our teacher at school knows I like music so she’s always suggesting new songs and this is one she recommended. In the song, a guy falls overboard from a ship but his girlfriend doesn’t seem to notice as she is dancing in the arms of another. But luckily the guy ends up on a tropical island and doesn’t mind. 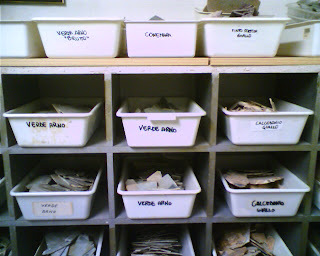 This morning we went to the Museo dell’Opificio delle Pietre Dure – or the museum of semiprecious stones. 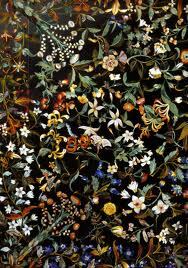 I think of it as the museum of Florentine mosaics because that’s what is largely there. And boy, are there some great examples. 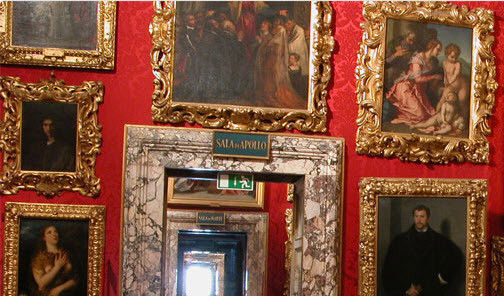 We have seen examples around in the different museums (Pitti Palace, Palazzo Vecchio, etc.) but this museum has the best collection, obviously. Especially impressive are the table tops (usually round) made just after the unification of Italy when there wasn’t that much money and the school made them to sell to raise money (late 1800s). Unfortunately there are no good pictures on the web (you can't see much in this photo) and we couldn’t take pictures. It’s a small museum. You can spend just an hour if you are in a hurry or longer if want to linger over the beautiful pieces. 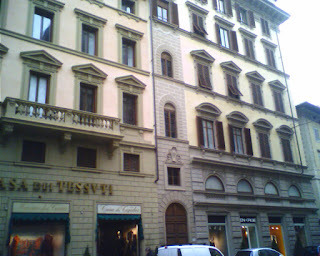 The museum is at Via Alfani, 78 (north of the Duomo). Make sure you go up the stairs to the mezzanine level to see the different types of stone and equipment used. 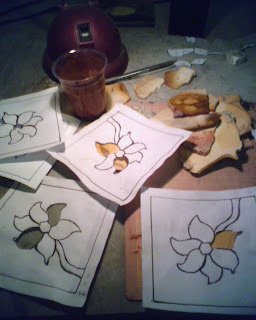 I started another couple of weeks in Florentine mosaic class. My new capolavoro is a little more complicated – less of jigsaw puzzle for a 3 year old and more like one for a 5 year old. It’s a flower – not particularly realistic, more my own fantasy. 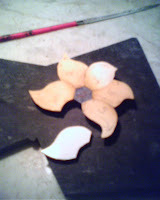 So far I’m all thumbs trying to assemble the petals. In the photo you can see I’m trying to fit in the last petal. The flower will be surrounded by black, I hope. When the maestro complements the work he uses "bellina" or cute. But I want stunning! We were near the Piazza Repubblica and I took this photo with my phone. It shows a typical building in the city. Notice the gutter drain pipes duck into the wall above the ground floor (click the photo to enlarge). This is the kind of thing that drives me crazy. Why do they do that? The other day we came up with the most plausible reason: if they ran the pipe to the ground it would probably be destroyed, as simple as that. Seeing the way they park cars and scooters around here and the way bikes are chained to anything stationary you start to understand. With the limited amount of space, the first hypothesis is that those pipes would be crushed and ruined in a matter of months. The second hypothesis was that in the wall, those pipes combine with house waste water – combined waste water. So it is a question of connecting the two water removal systems together. Anyone have a better idea? Plot: Diabolik and his nemesis, inspector Gingko end up captured at the same time and thrown into a cell together. Both think they are going to die. Inspector Gingko (IG) asks the masked Diabolik (D), "who are you?" D: Non avrei mai immaginato che il destino ci riservasse di morire insieme. IG: Non m’importa di morire, perché so che uccideranno anche te! D: Ero certo che avresti parlato così. Sei sempre stato a sacrificare la vita pur di distruggermi. [I was sure you would talk like that. You have always been ready to sacrifice life to destroy me. IG: Sì, ho lottato contro di te con tutte le mie forze. Devo ammettere che certe volte ho persino creduto di combattere un criminale fantasma. IG: Noi stiamo per morire e, questo è il momento della verità: Diabolik, chi sei? And, there you have it, my translation of this riveting dialog. Seriously, it is useful because you know exactly what each character is going to say so the context is there and that helps you figure out the articulations in Italian. We visited the Bargello National Museum this morning. 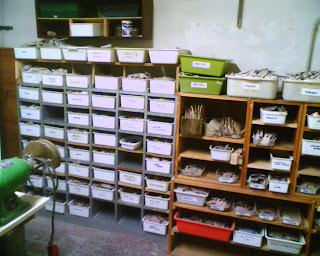 This is the place for sculpture. In particular, this is the home of Donatello’s David. Right now it is under restoration. But, the restoration takes place in front of your eyes. Granted the statue is horizontal so you don’t get to walk around it 360 degrees, however, it is better than not seeing it all. They take great effort to explain how they are restoring it. David is very much a modern man; he is even getting some little bits lasered off. 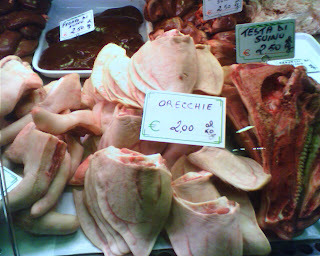 Today we went to Orvieto. We meant to take the 8:00am train but there was a little error in reading the train schedules and the train we wanted left from a different station. So we took another train an hour later. Lesson: pay attention to the stations in Florence. There are three: Santa Maria Novella, Campo di Marte, and Firenze Rifredi. Here is a good summary of them. Arriving at Orvieto, you can get up to the city by driving, walking, or taking the funicular (a steep cog railway) that puts you at the east end of the city. It is called the Bracci Funicular. The city (once you get up to it) is very walkable and if you take the main street Corso Cavour you are within a minute or two of everything, it seems. Once on the hill we headed for the duomo and bought a ticket for a tour of the Orvieto underground at 5:15pm in Italian (for a challenge). Then we peeked inside the Duomo for a while, climbed the Torre del Moro, visited the Albornoz Fortress (a public garden) and then the descended the Pozzodi S. Patrizio (a well). All before lunch. We had a very enjoyable lunch at he Antica Trattoria dell’Orso (Via della Misericordia, 18-20) where were the owners Gabriele and Ciro were very inviting and friendly. It’s my kind of restaurant because they read the options for each course and you order in progression (after each course). I don’t like reading menus. After lunch we walked for a hour or two and then took the underground tour which was interesting. Basically, underneath the city there are a series of caves and tunnels and rooms (some private and connecting to houses). The city is built on volcanic tuffa which is easy to excavate and that’s what they did to create more room for doing things that the city above didn’t have enough room for, like olive pressing or storing stuff. I was surprised on the train going to and from Orvieto on the shortness of the stops. We stopped in towns and there was literally 20-30 seconds for anyone to get on or off the train – that’s it. You are either ready or you are not! I love it. It’s your responsibility to be ready. Speaking of which, the station sported one of those automated, self-cleaning water-closets (restrooms) which for $0.20 is how one relieved oneself. The board reported our train would be 10 minutes late so Mark headed for the WC. Unfortunately, the door hydraulics malfunctioned and wouldn't let him out. Giving up on the help button, he pried open the door and escaped. The board had updated again, reporting the train was back on schedule. And a moment later we were on our way. “Ambush at high seas.” We were in the train station and we picked this up to read on the train to Orvieto. Sapevo che la prima volta che l’ho vista indossava una parruca nera a riccioli. Una donna bionda con un abito lungo beige. After lunch today we went to the Pitti Palace and visited the Galleria Palatina and the Galleria D’Arte Moderna – all in the same palace. One stop museum shopping. The Galleria Palatina is fun because of the scale and “themes” of the rooms. The paintings are generally from the Renaissance, but the the rooms are in no particular sequence. 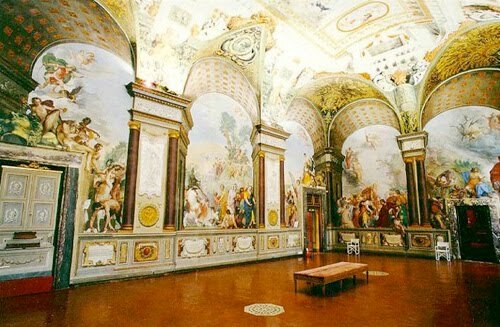 And, in general, much of the Galleria Palatina was “remodeled” in the early 1800s with some of the ceiling paintings and room themes celebrating the Hapsburg-Lorraines’ return to Florence. After the Palatina, we went up several flights of stairs to the Galleria D’Arte Moderna (on the second floor). This gallery has over 30 rooms dedicated to the late 19th century and 20th centuries. Each room changes color as you walk down this long hallway that passes through each room. Occasionally, there is a great glimpse out onto the Boboli gardens. In general, a good site for seeing the paintings room by room if you want is the http://www.polomuseale.firenze.it/musei/ site. Navigate to the gallery of interest and click on the room. Today in conversation class we played a game where we were given a “situation” which we explained to the rest of the class (there was only 5 in the class today) and they had to guess what the “solution” was. Basically a brain teaser, called a rompicapo in Italian. The purpose was for people to ask questions that could lead them to the correct solution. We had made a reservation for a special dinner tonight at Bar Ricci, a restaurant that we have lunch at (in the bar part) quite a bit but never tried it for dinner. On this particular night they were having a special dinner based on the dish called “cacciuccuo” – a typical fish soup of Livorno. 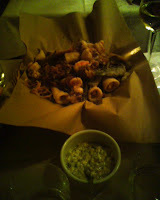 Since Bar Ricci is touted for its fish dishes we thought it would be good. It was 35 Euro per person and was worth every penny. We had wine, water, and coffee of course, part of the price. We started with an appetizer which was a spuma di patate with a large squid tentacle in it. Then the soup came with all sorts of fish and a side of bruschetta and mussels and clams. 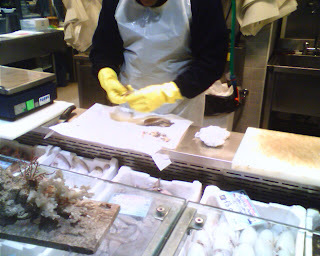 That was followed by a huge basket of mixed, fried fish and very thin french fries (sort of). We ended with a nice piece of cheesecake. 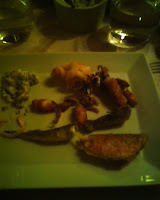 Sorry, all you get is bad cell phone pictures which show the mixed fried fish. It was nice because we were the only foreigners. Everyone was a local from the neighborhood. We recognized some of the people. We scratch our head every time we see the English translation of Livorno as Leghorn – I think of the character from Bugs Bunny, Foghorn Leghorn. Maybe he was from Livorno. Now I'm working on the song “E Poi” (“And then”). Phrases you can learn from this song: “Che senso ha?” (What sense does that make? ), “Dio lo sa” (God knows [it]. ), “Mi sento in colpa” (I feel guilty. ), “Le tue promesse, sempre le stesse” (Your promises, always the same. ), and “Ho sentitio il cuore in gola” (I feel my heart in my throat?). I love the orchestra in the background of the video – they don’t have too much to do it seems. We found this show the other day on RAI and watched a couple of episodes (puntate). The show is about the Italian language and foreigners living in Italy (stranieri) and how they use the language. One or more foreigners is invited on the show to talk about how they learned the language and is quizzed on the finer points of the language. During each episode there is little bit of grammar and vocabulary. A professor from the Dante Alighieri school keeps the language on the up and up by correcting and instructing everyone as needed. At the end of the show, the guest reads a passage from a book (in Italian naturally) and so far it seems it is always the story of Pinocchio. 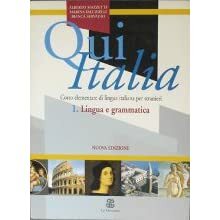 We use the textbook “Qui Italia: 1. Lingua e grammatica” every so often in conversation class. My only nit is that it’s a big, heavy book for what it contains. It’s sort of like a magazine format, lots of pictures and space on the pages. I bought it tonight so I’ll see how it works. 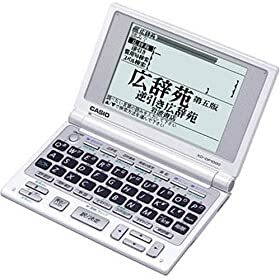 Almost all the Japanese students that have been in our classes have this translation device (or something very similar): Casio DataPlus.It is a lot quicker than searching through a dictionary, but, I think it takes away from just listening. For example, the dictionary is hard enough (time consuming) to use, that, you can’t look up every word while the teacher is talking in Italian. Hence you concentrate on context or ask questions which is better. Most Japanese, with these devices, can look words up quickly and thus do so and don’t listen as much – it seems. Offline, I’m betting the device is pretty handy – similar to the way we use http://www.wordreference.com/. This photo was taken near the Uffizi. It shows some knockoff street sellers pulling up their white sheet as some police approach. They look like Santa Claus shuffling down the street with their big sacks. They set up again as soon as the police leave. I don’t want to imply that these vendors of knockoffs are everywhere, but, they sort of are. There was a crack down this summer on them and then they all came back in the fall. Now there seems to be another crackdown. I suppose the store owners don’t like them, or they cheapen the city, or they are a nuisance, and so on. But for the life of me I can’t understand who buys the stuff? What kind of person? I mean these handbags (in this case) are not even pleasant to look at. (Okay I admit it I’m not a purse-kind-of guy.) And, there are plenty of stores with reasonably priced bags or backpacks. And, they don’t really represent the city or Italy (at least to me). Yes, Italy is known for fashion but why buy a cheap knockoff on the street to celebrate that? Different nationalities seem to have the market on different items. Chinese sell these origami decorations, Senegalese sell handbags and luggage, Romanians (I think) sell posters, and so on. Beware, because there is a fine for the seller and the buyer of these goods. We haven’t seen anyone get a fine but if you are caught buying a handbag, let’s say, you could pay up to 1,000 Euro we were told. Now that’s an expensive handbag. We've gotten so used to see these folks that we don't see them at all. Florence is not the only city by far with this issue. I’m about to wrap up my capolavoro (masterwork). Mark stopped by on Thursday and snapped some shots of me working on it. Most of the day was spent cleaning the surface in various ways and using more Tenax products. In the photo above I’m polishing the surface with various pads with different grit ratings. As we were walking to Magi (a crappy market we use as a last resort when everything else is closed – because we are snobs) in the San Niccolò district near our house we discovered the rather large public garden of Palazzo Vegni. We talked to a lady from Florence who was there and she said it is only open on Sundays. During the week, an adjacent school uses part of the garden so it is closed to the public. Maybe that explains why we never noticed it. You have to go through a tunnel in a building to enter the garden so it isn’t exactly apparent from the street. The gardens look into the Bardini Gardens which you must pay to enter. In this aerial shot you can see that the gardens back up against the old city wall that runs along Via di Belvedere. We intended to go to the Bargello this morning but when we got there discovered it was closed on the third Sunday in the month. (It’s these kind of odd hours that you run into a lot in Florence. You just go with the flow.) So we went to Palazzo Vecchio (town hall of Florence) instead and had a good time. The building dates back to the end of the 13th century. In the huge Salone dei Cinquecento (room of 500 hundred) there was a youth orchestra performing the Four Seasons and it was a pleasant welcome. One thing that is nice about the Palazzo Vecchio is that it has many windows and there is a lot of light coming in. The parapet (according to a ticket office person) has been closed for three years – in restoration. She said it would open next spring. We remember the parapet from a visit in the late 1990s. It’s one of the highest points in the Palazzo you can get to. There is also a guided visit to the palace with stops in the "secret" spots that you normally can't get to. You must have a reservation. Ask at the ticket office. Today we decided to visit two Medici Villas, Garden of Medici Villa of Castello and the Medici Villa of Petraia. Both gardens are definitely in winter mode as all the citrus and sensitive plants are tucked away in the cold frames and green houses. But we are autumnal-kind-of people so the visit was perfect for us. Plus, there were no other souls to speak of. Both gardens are free to get into. Both gardens are within walking distance of each other. Here is an aerial that shows both villas, Castello to the left and Petraia to the right. We both liked Petraia more. Just a bit more striking, at least at this time of the year. Plus there is lots of walking opportunities in the “wild” (not really) area behind the villa. Another set of silly learning videos (at least I think they are not serious…) are by host “Marcello Mastrantonioni” and include Learn Italian in 10 Minutes, How to Make Love, and others. “Non gioco più , me ne vado. Non gioco più, davvero! I don’t play anymore, I must get out of here. I don’t play anymore, really! Life is an unmade bed. I take what I find and leave what I take behind me. 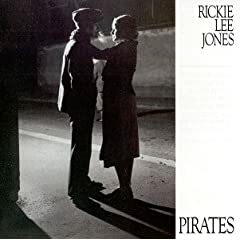 We shared the first two albums of Rickie Lee Jones (Rickie Lee Jones and Pirates) with the guy who runs our morning coffee place. They seemed like the kind of albums he might enjoy. We’ll see. He was playing one today when we walked in. Our current morning conversation class has 3 of us from the U.S. (us plus a slightly older guy from Florida), a young woman from Brazil, a middle-aged woman from Poland, a young a 20ish Japanese boy, and 30ish Japanese women. The lady from Poland was telling us how there are over 2 million Polish people in London (for better work options). Also, there are Polish doctors who fly over to England for the weekend to work odd shifts and pull in extra money. Our Italian teacher told us that in Italy, young kids (especially from the South) prefer to head to Germany to make a lot of money. Meanwhile, the influx of Romanians is on every Italian’s mind – and in the papers, it seems. A student from Madrid said there were very large numbers of Chinese in that city. The Japanese students say that there are a lot of Iranians who live in Japan. Confused yet? We found Flat Stanley waiting for us when we got home today from class. Welcome Stanley. We immediately took Stanley around to visit some sights. Included is a snapshot of Stanley at the Forte Belvedere – our favorite spot! Stanley loved it. He was running around and playing. Couldn’t control the youngster. We (maestro and I) dismantled the structure that held the pieces together in back and buffed (with a circular grinding device…don’t know what the name is) the back so all the pieces were at the same level. (The front is flat but the back can be different levels because not all stones are the same thickness.) 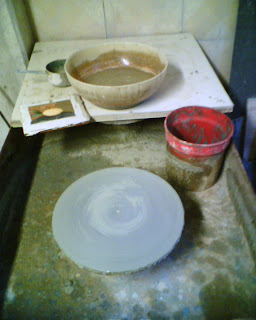 After cleaning out the grooves, we mixed up a batch of something sticky (Tenax) and stuck the back to a piece of slate. After that cured (about an hour) we uncovered the front part, drew lines at right angles (hopefully) to cut off the excess. We cut it and called it a day. The products from Tenax we used are a glue, catalyst, and colorant – all were nasty smelling. We used the mixture to stick the assembled stones to a piece of slate which serves as the backing to the finished master work. We took a mid morning train to Lucca today. It took about 90 minutes to get there by train. It was misty and cool ~ 12C. We walked a bit, ate, and then walked a bit more. Lucca doesn’t have a lot open on Sunday (museums, shops, and many restaurants are closed). Walking the famous, intact, Renaissance-era walls is your best bet for a Sunday. It took us about 60 minutes to make it around. You can rent bikes if you want. 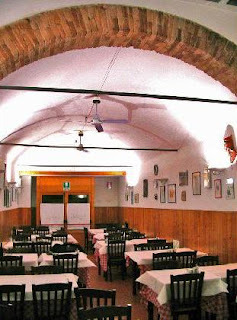 We had a nice, simple meal at Trattoria da Leo and met an opera singer from LA who was serenading the restaurant. Mark was in class cooking out his little heart so I decided to head to Boboli gardens to sit in the sun and read. On the way there I was stopped by some Spanish tourists asking where the Forte Belvedere was. I told them it was up (the very steep) Costa San Giorgio but that it was closed. They decided it wasn’t worth it and walked away. Then as I reached the top to enter the Boboli from the entrance near the Forte I noticed the Forte was open. Darn, I felt bad for giving bad information, but the Forte was closed for such a long time. We think it is the best spot to get a 360 panorama of Florence. And, best of all, it isn’t crowded. After talking with a guard (there are now monitors there, volunteers perhaps?) I found out that the site was closed because an American fell off the wall of the forte (+25 ft plunge) and died plus there were money issues. Apparently money was found or there was enough of an outcry and it is open once again. There are now ample signs warning about getting up on the walls. Tuesday – Sunday, 11am to 4pm. We heard this compilation playing in our morning coffee place the other day. (BTW, the owner’s name? Marc…. go figure) Anyways, we asked because the song “I Don’t Want to Know” by Vaya Con Dios was playing and the singer has such a distinctive voice and the song was interesting. Turns out the song was from 1990. Another artist to look into. Anyway the compilation is pretty good – just bought it tonight (a mini CD binge after holding out for months). A mix of lots of stuff with an eclectic, new jazz/soul vibe. 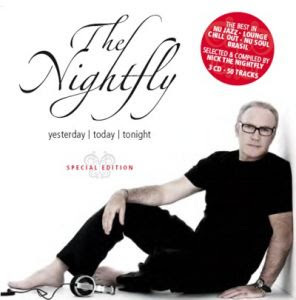 The compilation was put together by Nick the Nightfly, a DJ on Radio Monte Carlo – a popular radio channel broadcast from Italy. Come vedono Roma i turisti stranieri? Che cosa ne pensano? Sono veramente contenti della loro vacanza romana? Ne sono soddisfatti? Torneranno nella città eterna, oppure, la prossima volta, andranno altrove? "No tornerò. 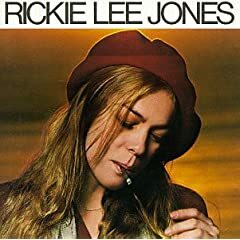 Mi è bastata questa esperienza", risponde Lizzette, 40 anni, portoricana, per la prima volta a Roma. "Per me era sempra stato un sogno venire in Italia. Guardavo le fotografie dei palazzi, dei monumenti romani, et mettevo via i soldi per il viaggo. Adesso sono qui da dieci giorni e sono triste". Perché? "Sono appena stata a Villa Borghese. C'era una statua bellissima, l'hanno sporcata tutta con scritte di vernice nera. Mi ha fatto sentire male. Non c'è rispetto per la bellezza. La gente vive in questa meraviglia di cose antiche e delicate, ma non se ne rende conto. Sembra molto soddistfatto invece un medico danese, Svend Jorgen Angsburg, 52 anni, che a Roma ci era già stato nell' 83 ci è ritornato adesso, con moglie e figlie. "La bellezza di questa città è una calamita. Ci tonerò sempre", dice con un sorriso. Passiamo a un giovane tedesco di Francoforte, Sven Gensz, che se ne sta seduto sul bordo della Fontana di Trevi a bere un frappè. Ha 27 anni e lavora in un bar. "All'inizio ho trovato Roma bellissima, proprio come me l'ero immaginata. Poi il traffico e lo smog hanno raffredato un po' il mio entusiasmo. In Germania ho fatto amicizia con dei romani simpatici e abbiamo deciso di scambiarci, ogni tanto, le case. Le ragazze romane mi piacciono, ma purtroppo in discoteca non riesco a conoscercerne nessuna, perché non parlano inglese. O forse fanno finta di non saperlo?" Do you like Hillary? Will she be president? It seems like I’m asked these questions at least every other day. A lot of people are watching the election I guess. It’s hard to explain with limited vocabulary and ability (in Italian) that the concept of the lesser of two evils or many evils for that matter. No need to say it, but almost everyone we’ve met thinks Bush is pazzo (crazy). Saying that I don’t care for him doesn’t seem to make me feel any better. And, everyone asks, but why did you elect him a second time?? Difficult. No one has been hostile; it is just a very curious thing for them. 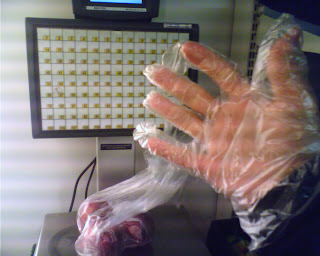 You are suppose to use a plastic glove when handling fruit or vegetables in supermarkets. You pick your items out, put them on the scale and then select the number of the item. Out comes a little ticket that you stick on the bag. We usually eat lunch at home, but today we broke down and stopped for lunch at the Trattoria La Casalinga today. We walk by the restaurant everyday going to and from school, located just off the north end of the Piazza Santo Spirito. For lunch today, we had arista di maiale and fagioli bianci and trippa alla fiorentina and spinaci. There really is something about the quality of light in Florence that is beautiful. Above is a photo taken last Friday during sunset (tramonto). Tonight I was reminded of that as we were jogging (4th time) south of the city, past Forte Belvedere and the sky was beautiful. We took a few hours this afternoon to visit the Museo degli Argenti located inside the Pitti Palace (which is about 6 minutes from our house). The silver museum’s attraction for me is not so much the silver or gold trinkets (okay, they are a bit nicer than trinkets) but the frescoed rooms which use quadratura techniques to create scenes that are fun to look at. If you close one eye it removes your stereoscopic ability (?) and the trompe l’oeil is especially vivid. 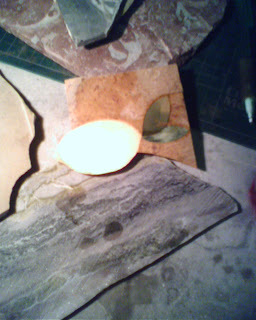 The stone lemon is coming along (my Florentine mosaic class). 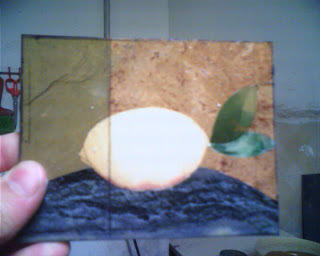 In the (cell phone) image above you can see a very flat lemon (very Japanese as another student said) with two leaves surrounded by brown. In total it is about 6 pieces of stone. I still have to pick out two more pieces to complete this first "attempt". 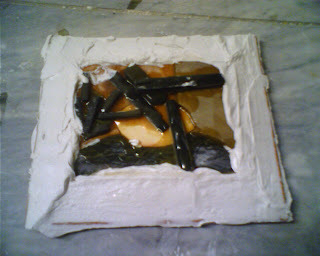 In the picture above it is held together temporarily with slate and glue in back. The stones I would like to choose are the ones the “maestro” shakes his head at and says “troppo forte” or something to that effect. Stone dust is very drying to one’s finger tips. The glue used to temporarily hold pieces together when melted (as it should be) makes a cloud of smoke that you should not inhale. The girl next to me hums well to American rock music. Don’t ring that buzzer to open the front door to the studio before 3pm because the maestro isn’t going to be there. Come 5 minutes late.